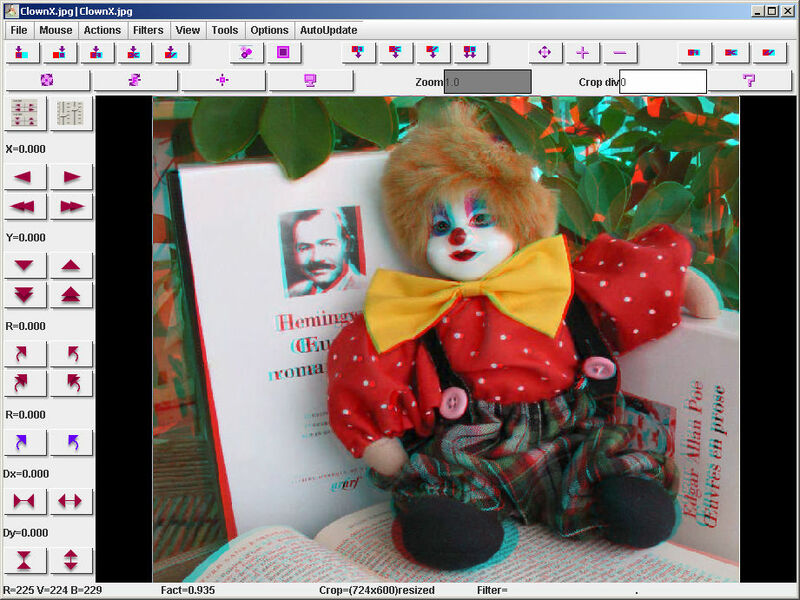 Open AnaBuilder, drag&drop the file to load the stereo. 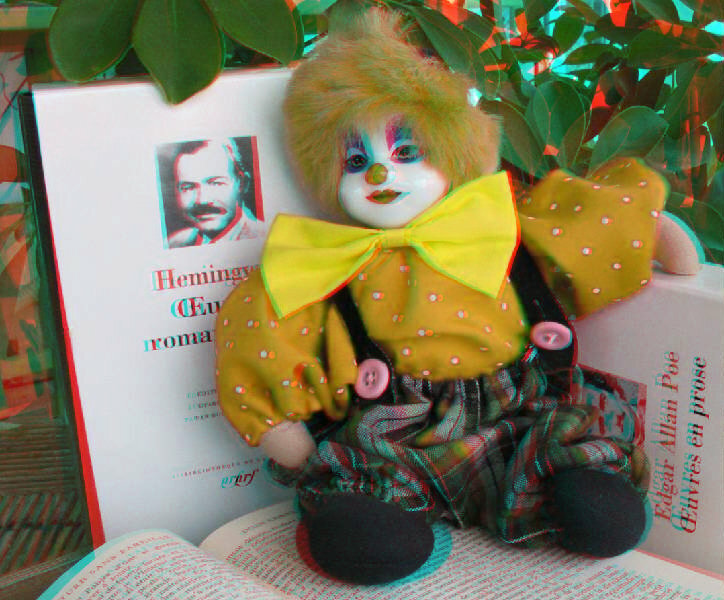 You should get an anaglyph that shows quite strong red colors on the clown. These colors cause a retinal rivalry that produces a visual flashy effect. 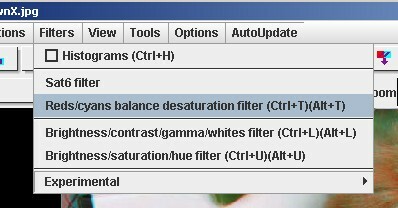 Use the menu "Filters / Reds-Cyan balance desaturation filter" to get the filter panel. 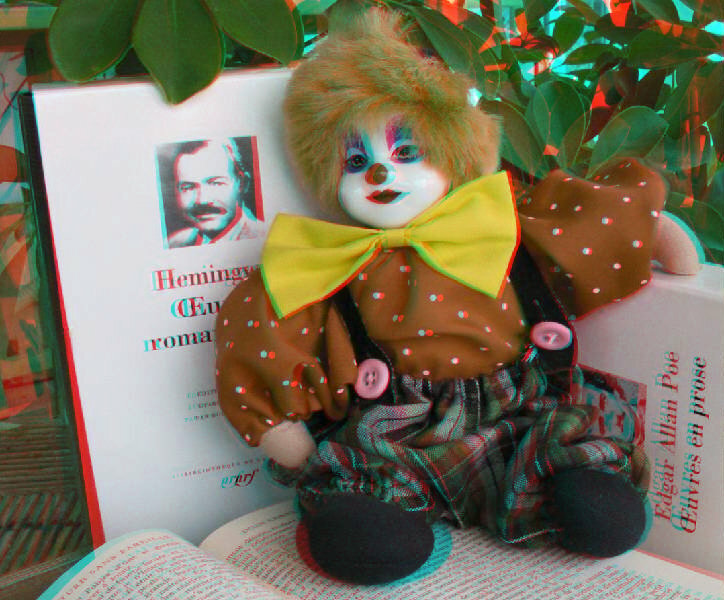 Select a red preset tuning. You should get a color transformation of the reds to get an other kind of color, much more comfortable to view as anaglyph because the red and the cyan views are much more equilibrated. Here are what you will obtain with few other tunings.